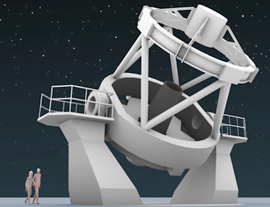 The Liverpool Telescope is a 2.0 metre unmanned fully robotic telescope at the Observatorio del Roque de Los Muchachos on the Canary island of La Palma. 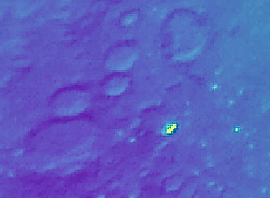 It is owned and operated by Liverpool John Moores University, with financial support from STFC. 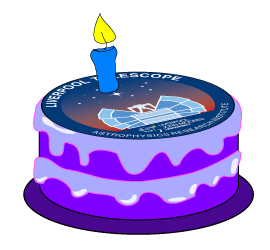 This year the Liverpool Telescope celebrates 15 years of continuous robotic observation of the Universe. 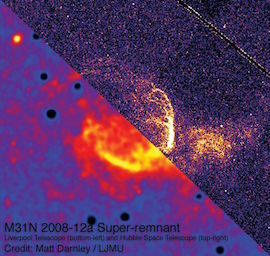 The telescope went robotic for the first time on 22nd April 2004 (see News item) and routine robotic operations began in December 2004. 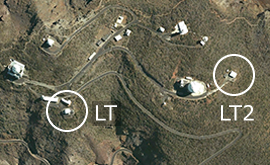 Since then the LT has been delivering high impact science by robotically observing the night sky from its home on the Canary Island of La Palma. An international team of astrophysicists have uncovered an enormous bubble currently being "blown" by the regular eruptions from a binary star system within the Andromeda Galaxy. For additional news and events please visit our News Headlines page; for older stories see our News Archive.